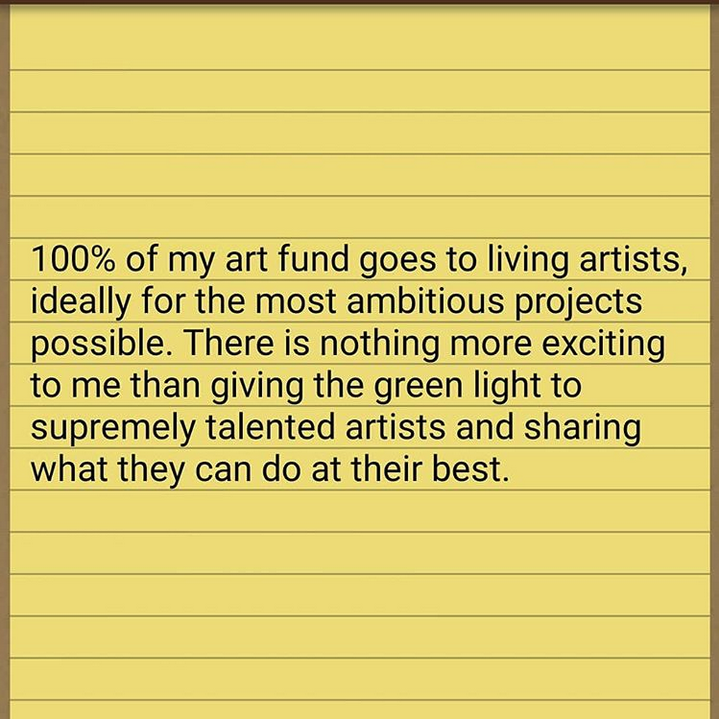 Transcript: "100% of my art fund goes to living artists, ideally for the most ambitious projects possible. There is nothing more exciting to me than giving the green light to supremely talented artists and sharing what they can do at their best." Messing around with the Curve Text tool on troygram.com. 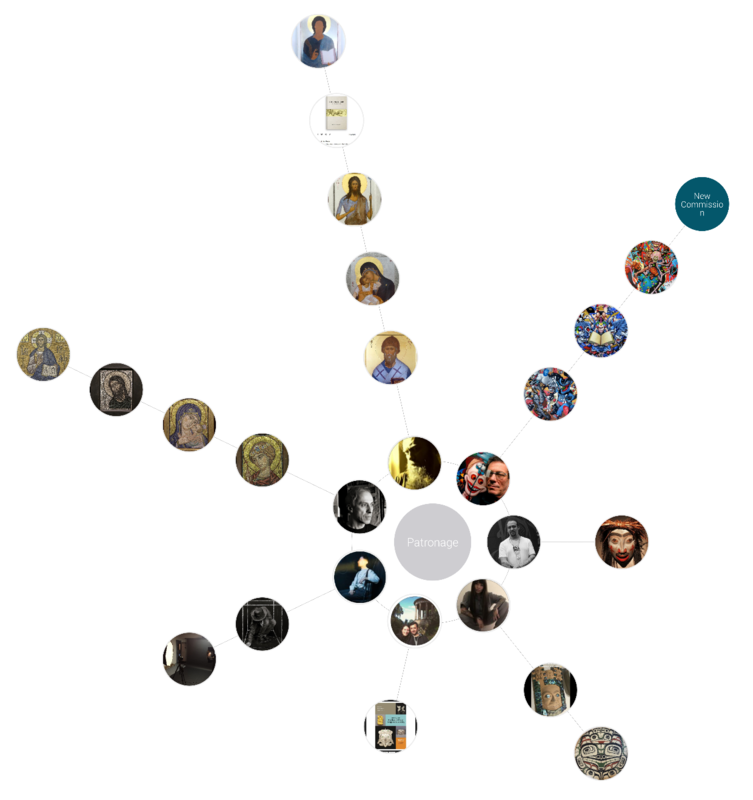 I had been looking for a way to do this on a perfect circle for quite some time. 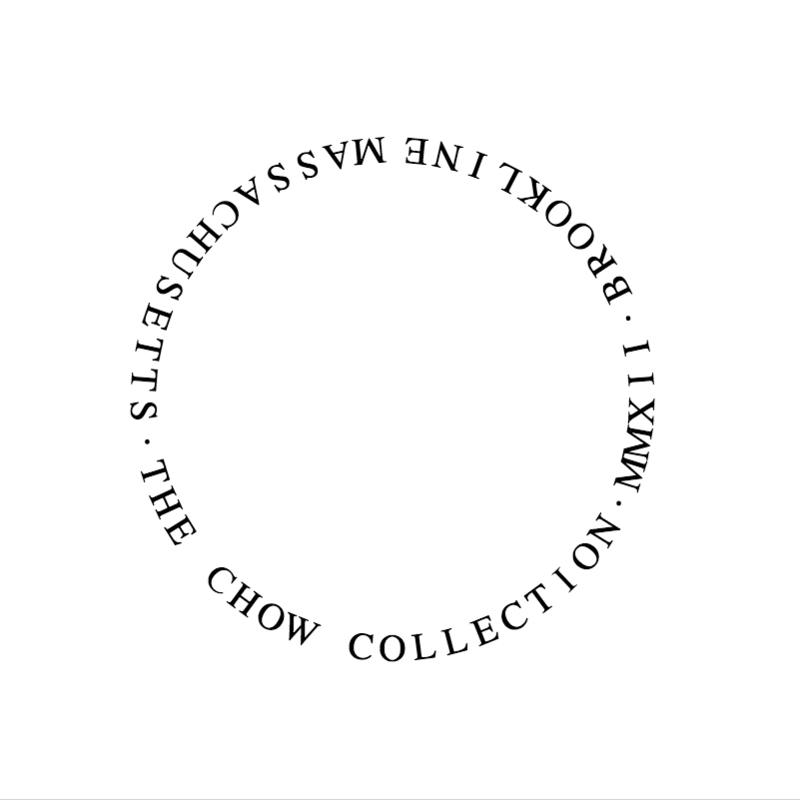 I was trying to see how close it could get to the beautiful Boston Athenaeum logo. Pretty good! Transcript: "One day I was like, "Instead of spending any money on myself, I&apos;m going to take my annual income and support the artists that most deserve my money based on the quality of the art objects they were creating and sharing on Instagram." 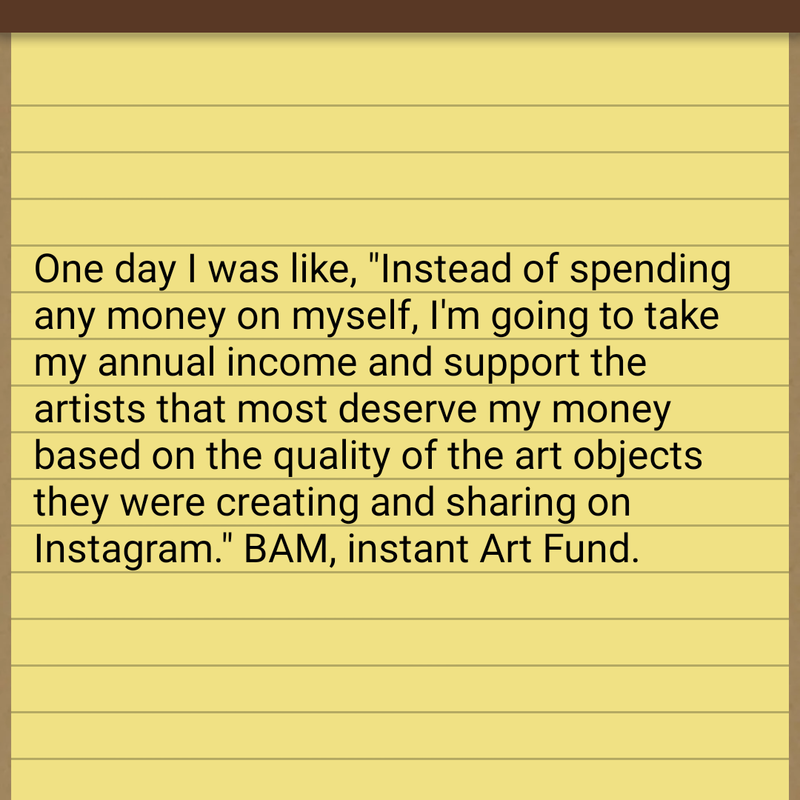 BAM, instant Art Fund."